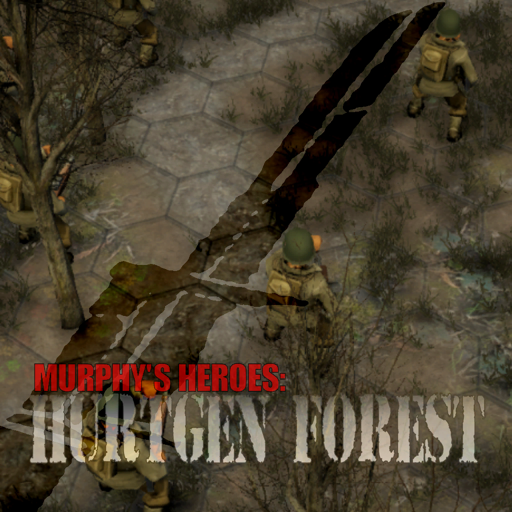 MURPHY's HEROES: THE HURTGEN FOREST is a unique turn-based skirmish level combat game that puts you in command of a band of Sgt. Murphy's 'Combat Happy Dogfaces' of the 1st Infantry's Easy Company at the early stages of the Battle of the Hurtgen Forest. 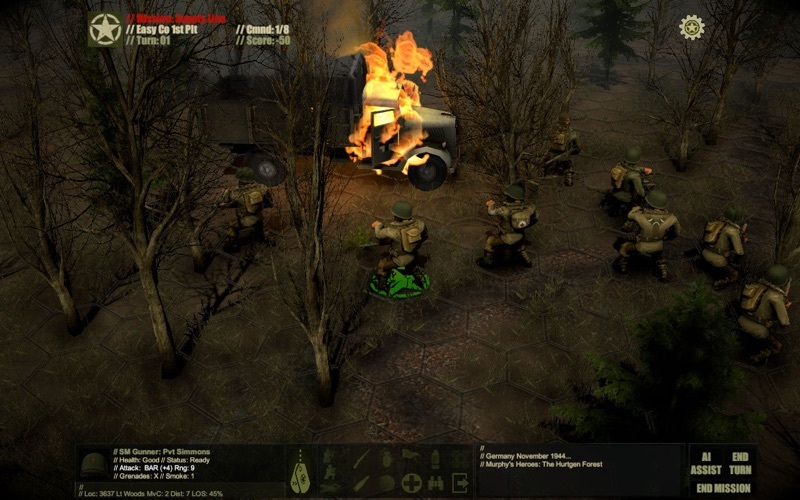 Striking fully Animated 3D Graphics, Immersive Sound and Special Effects, all combine in a Skirmish Level game that's as personal as it gets, to bring a sense of immediacy and danger to every mission. 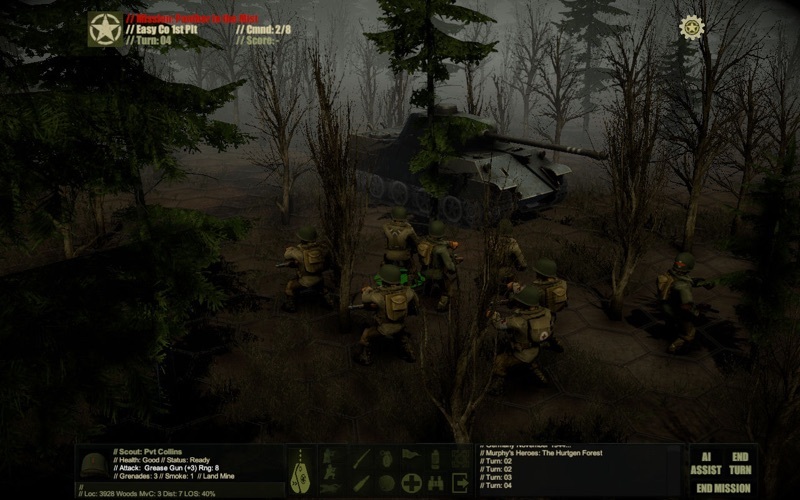 Dense woods, limited sighting and enemy detection, mines, grenades, smoke, and fiercely defended fighting positions await! At least you've got 'The Sarge'... and a Medic! With any given action, enemy reaction can seem immediate or concurrent. 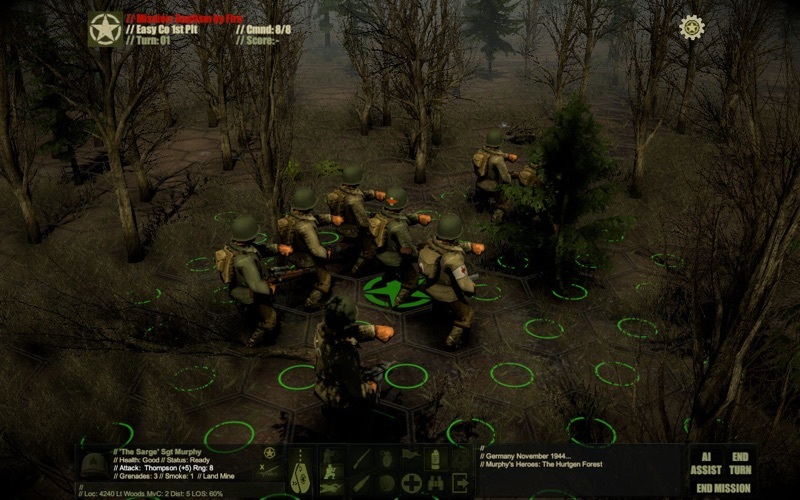 While staying true to turn-based mechanics (no twitch game here), the game's random command activation system will at times make it feel as though you're playing more of a real time strategy game. 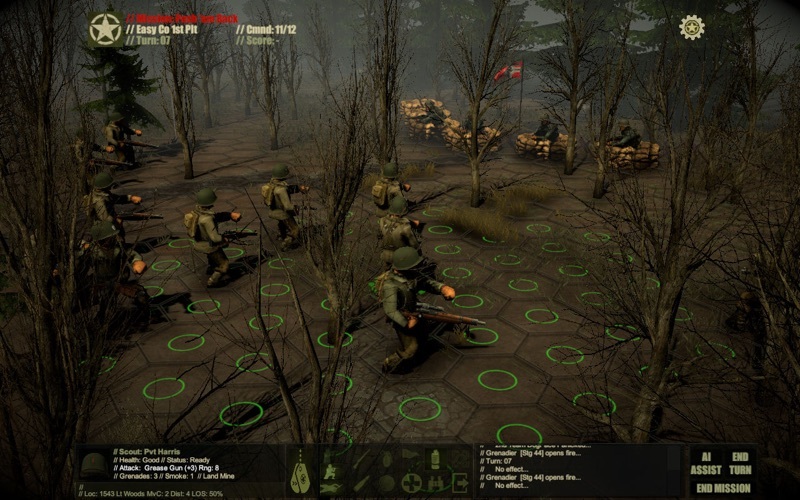 Skirmish level WWII action with a turn-based system that keeps you involved instead of putting you to sleep. 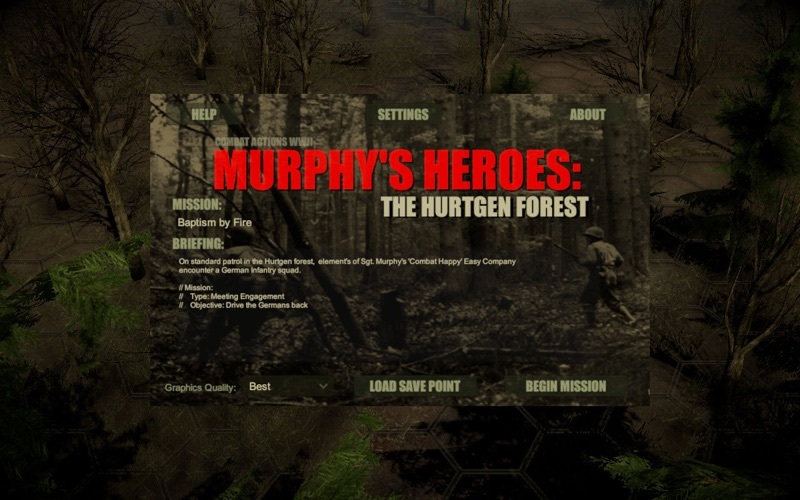 - Eight Scenario based Missions with randomly generated encounters with an integrated Campaign System that tracks your progress. 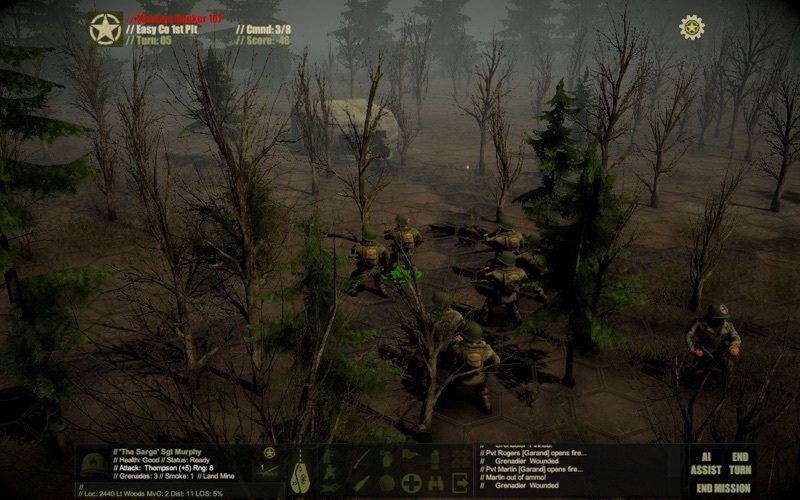 -Squad level AI Assisted Movement, Ranged Fire, Rallying, and Reloading. Command your squad with just a few clicks of the mouse. - Multiple Weapon Systems, Unit Types, and Mission Classifications. 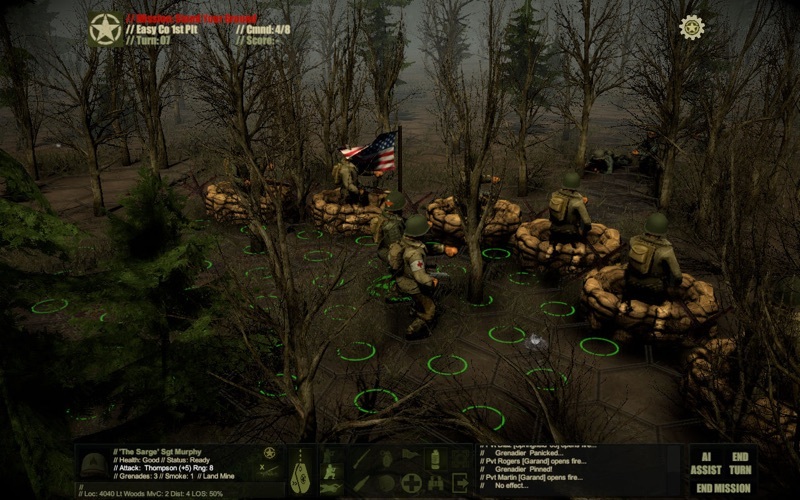 - Individual health levels and fighting positions, plus grenades, mines, defensive smoke... and even a Squad Medic.